KSRealityBites: Hypertension & its prevention! High Blood Pressure or Hypertension is a common health problem faced by many men & women especially who are obese, often stressed or anxious, alcoholics, diabetes or smokers. It affects the body as it adds to the workload of the heart & arteries. People can live with hypertension for many years without having any symptoms. That's why high blood pressure is frequently known as "The Silent Killer". 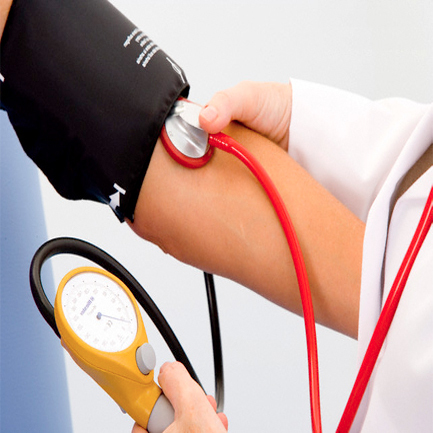 High blood pressure is a condition in which the patient has higher than normal blood pressure. It's currently defined as a BP of above 140/90 mmHg. Basically there are three types of hypertension namely Primary, Secondary & White Coat Hypertension. Primary Hypertension, may lead to worse conditions. It's not easy to find the cause of the primary hypertension. some say that primary hypertension is linked to genetic, poor diet, overweight, etc. Secondary Hypertension, is an effect of other medical conditions. It means there are several conditions that may cause high blood pressure. the disorder of an organ in the body may lead high pressure. Kidneys disorder is an example of the condition that may cause the secondary hypertension. Tension & Anxiety are known to cause temporary increases in blood pressure, which is known as White Coat Hypertension. If a person is having white coat hypertension, he is asked to monitor his blood pressure by wearing a device called an ambulatory blood pressure device. This device is usually worn for 24 hours& can take blood pressure every 30 minutes. It is very important to know the type of hypertension one is having. The treatment is also essential because if it's not treated it causes the heart to work very hard & ultimately damages it. The American Medical Association notifies that serene cases of untreated hypertension can double the chance of a heart attack & a temperate case triples it. One can control hypertension or blood pressure by adopting healthy lifestyle options like quit smoking, healthy eating habits like little salt, ample of fruits & vegetables & an active lifestyle involving daily cycling or walking. Exercise is an important treatment for hypertension. Practices like yoga, meditation also help in reducing high blood pressure. Only people with severe uncontrolled hypertension, which is very rare, need to be careful about exercise. As what I had learned, hypertension is only the starting point of a certain serious health problem, the more we disregard it, the more we are prone to a fatal disease.